Being able to buy fresh figs are a luxury. 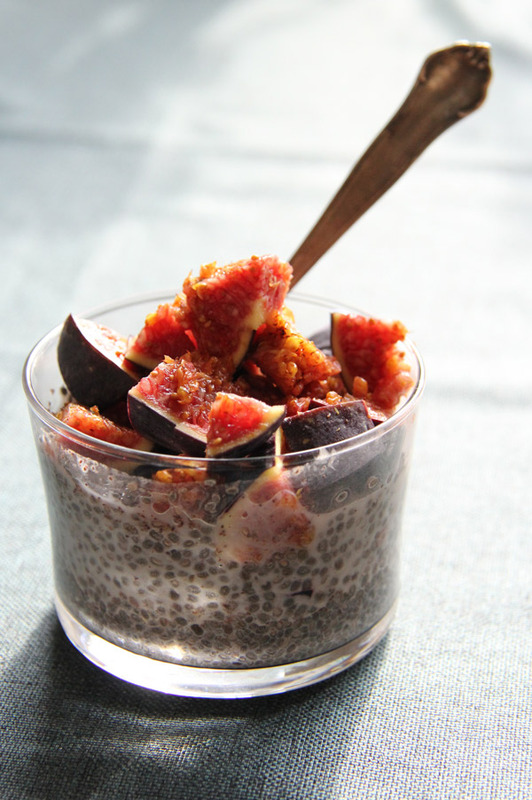 I love to add a fresh fig to my morning chia pudding pot. This is a chia pudding made with cinnamon and almond milk. To make it even more decadent, sprinkle some coconut nectar sugar and roasted chopped hazelnuts on top prior to serving. The directions on how I make my chia pudding is found in my vegan cookbook.